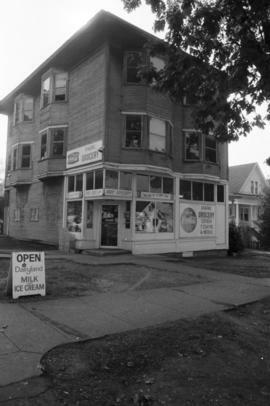 Item is a photograph showing Pak's Grocery Store. 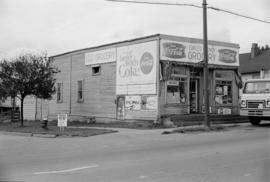 Item is a photograph showing Cardero Grocery. 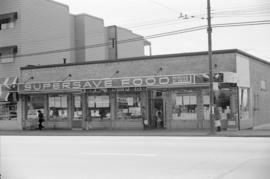 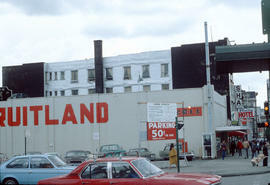 Item is a photograph showing the exterior of the Supersave Food store. 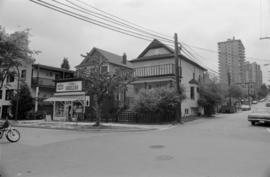 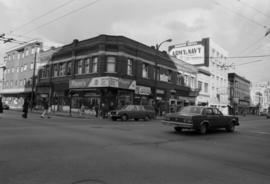 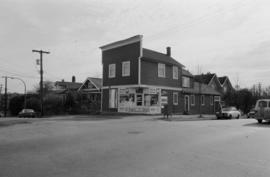 Item is a photograph in which a sign for Arbutus Grocery is visible. 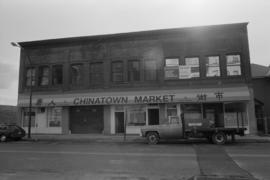 Item is a photograph in which a sign for Kwong Hing Company Meat Market is visible. 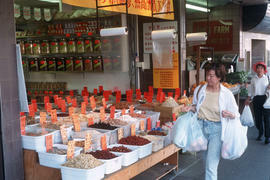 Item is a photograph in which signs for Kwong Hing Vegetables, Kowloon Trading and Yuen Fong are visible. 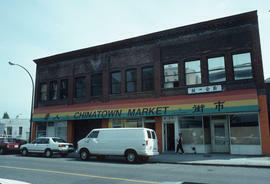 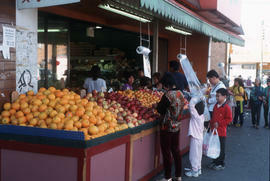 Item is a photograph in which a sign for Chinatown Market is visible. 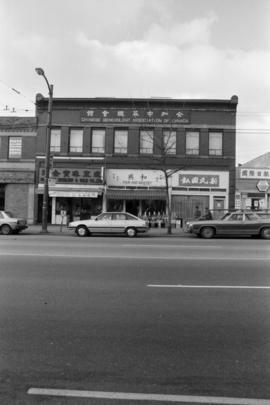 Item is a photograph in which signs for Chong Market Limited, Wankow Travel, May Wah Hotel, Le Kiu Poultry Company Limited, Dai Cheong Limited, and Garden Village Restaurant are visible. 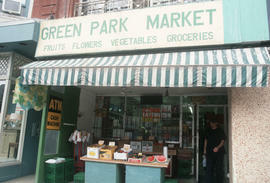 Item is a photograph in which a sign for Park Grocery is visible. 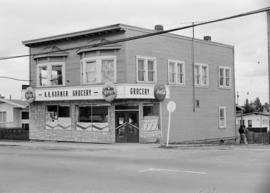 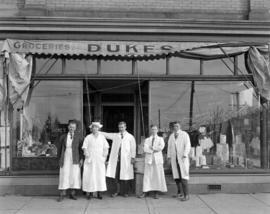 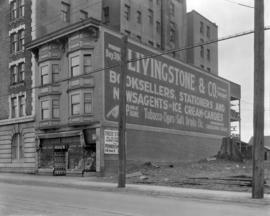 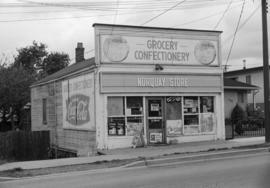 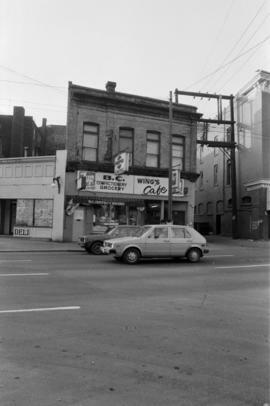 Item is a photograph in which signs for BC Confectionery Grocery and Wing's Cafe are visible. 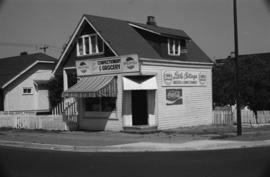 Item is a photograph showing the exterior of G&T Grocery. 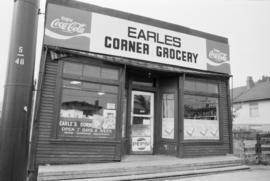 Item is a photograph in which a sign for Earles Corner Grocery is visible. 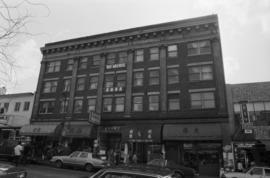 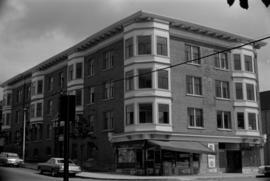 Item is a photograph showing Fung's Grocery with apartments above. 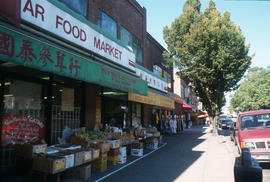 Item is a photograph in which signs for Chinese Benevolent Association of Canada and Four Hing Grocery are visible. 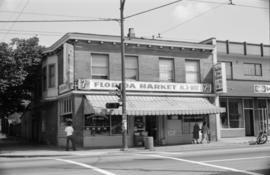 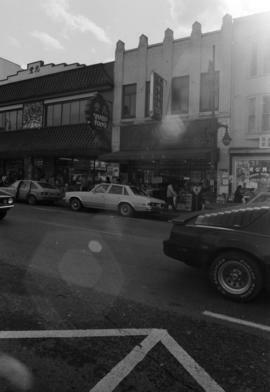 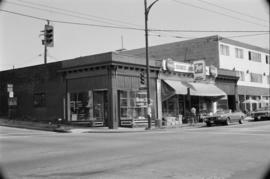 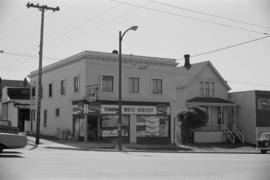 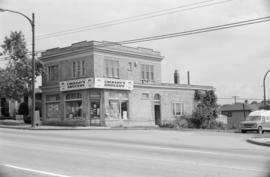 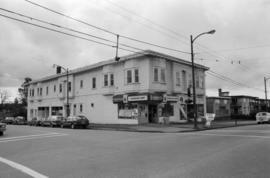 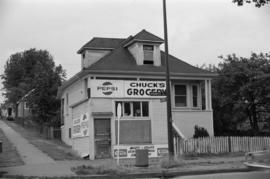 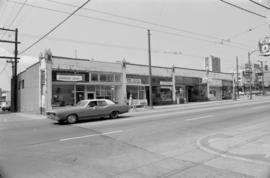 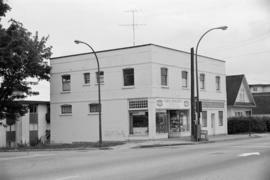 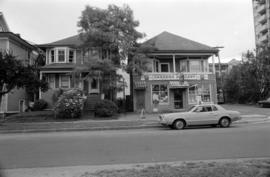 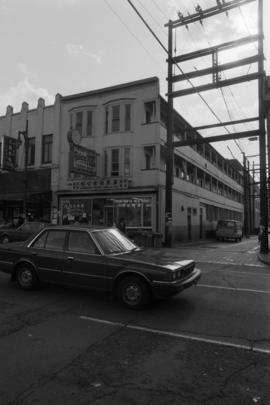 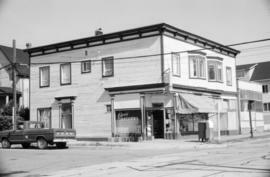 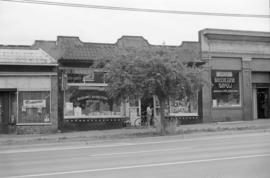 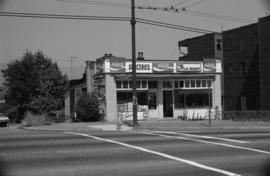 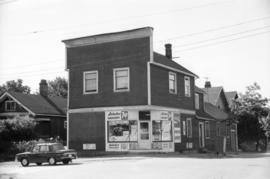 Item is a photograph showing the exterior of the Black and White Grocery building. 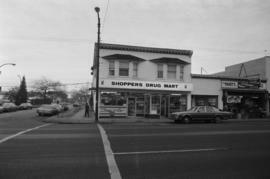 Item is a photograph in which signs for Shoppers Drug Mart and Harry's Produce are visible. 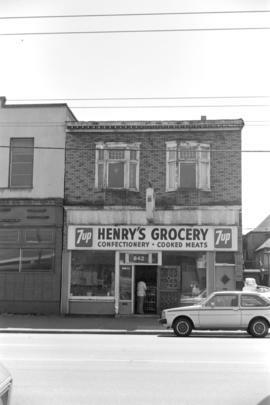 Item is a photograph showing Henry's Grocery. 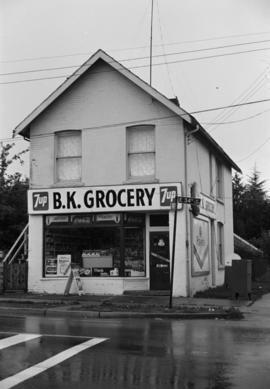 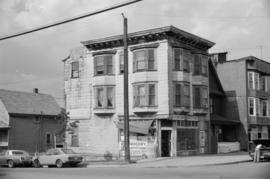 Item is a photograph showing Kong's Corner Store. 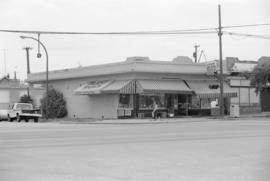 Photograph shows Mt. 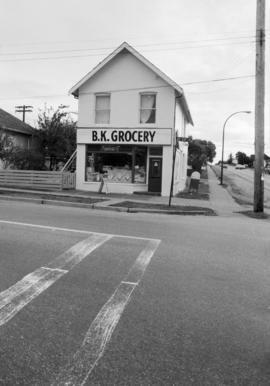 Pleasant Grocery, Mt. 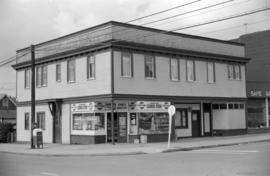 Pleasant Pool Room and Owen and McCallum Hardware. 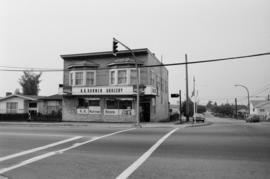 Item is a photograph in which a sign for K.K. 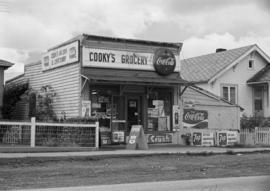 Korner Grocery is visible.